Hi all! I'm back with a card for My Favorite Things February Release Countdown Day 4. I play with the cute stamp set called Oh My Gostrich. This stamp set is so fun and unique! I stamp then color the images using copic then die cut it. The sentiment is from white embossing powder. Very cute, and I like your confetti mix with your card colors. Super cute colors - love the Ostrich!! I sure do like these ostriches. I am adding them to my wishlist. trop adorables et rigolotes ces petites autruces, une carte complètement craquante! Very sweet card. Love the shaker element. Great card design, love your shaker elements! Thanks for sharing your sweet card with us Melania. 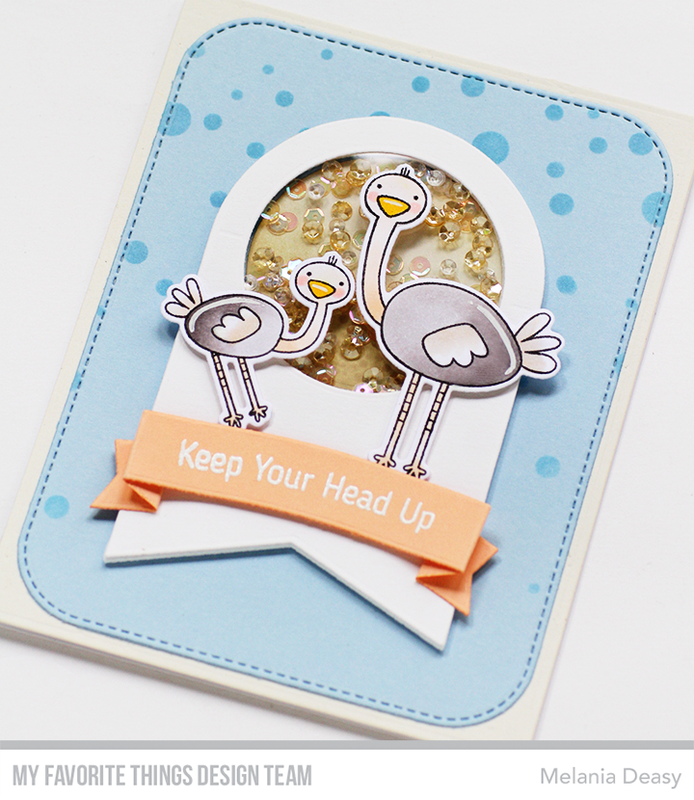 Great shaker card, those ostriches are so cute. 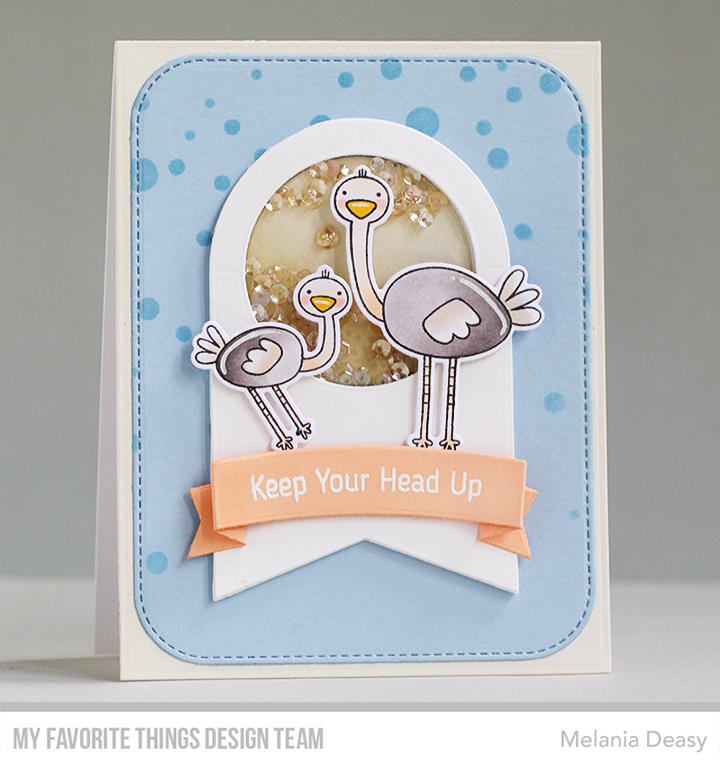 Two cute ostriches make a perfect shaker card! 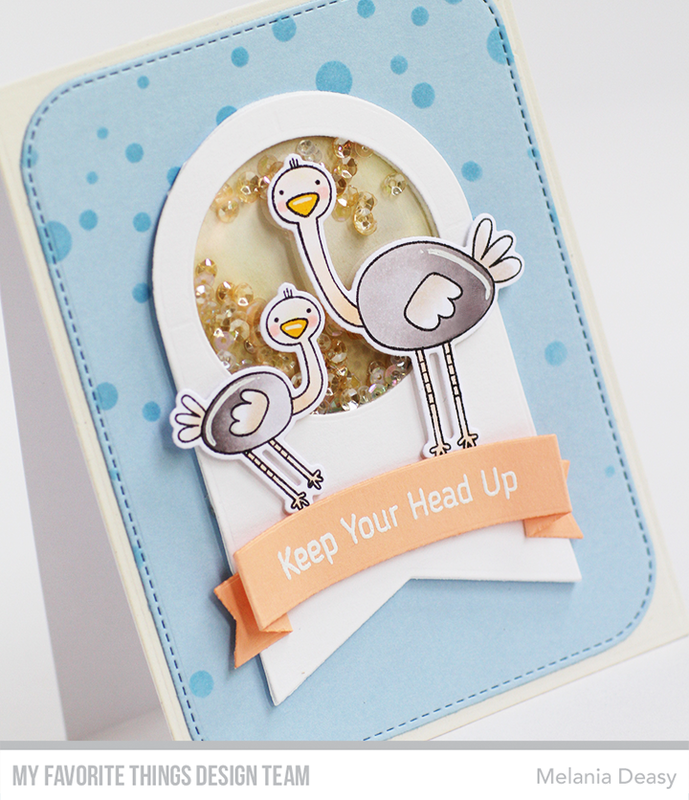 This shaker card using the ostriches is just adorable. I love these ostriches and how you colored them. Great job putting this card together. Love yourcard. Got to get that ostrich set! So cute, love the shaker window.